Florida Permit Test Q&As: In Florida, if you have a learner’s permit, you may only drive during ________________ for the first three months. 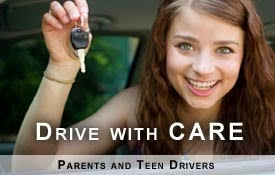 In Florida, if you have a learner’s permit, you may only drive during ________________ for the first three months. Question: In Florida, if you have a learner’s permit, you may only drive during ________________ for the first three months. C. The hours of 1 p.m. and 5 p.m.
D. The hours of 8 a.m. and 1 p.m.